Owen Joseph Caraher was born about 1819 in County Monaghan, Ireland. 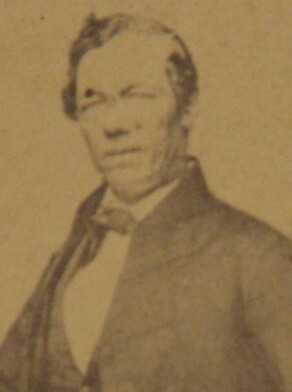 In 1842 in Sydney, he married Catherine Hogan (d.1893), and had one son and five daughters. He died at his residence in Gloucester Street, The Rocks, on 21 August 1879. He was a Roman Catholic. A magnificent stained glass window was erected to his memory in St Patrick’s Church. Caraher arrived in Sydney about 1840 and went into business with his brother-in-law Patrick Hogan as Hogan and Caraher, soap and candle makers of Gloucester Street. 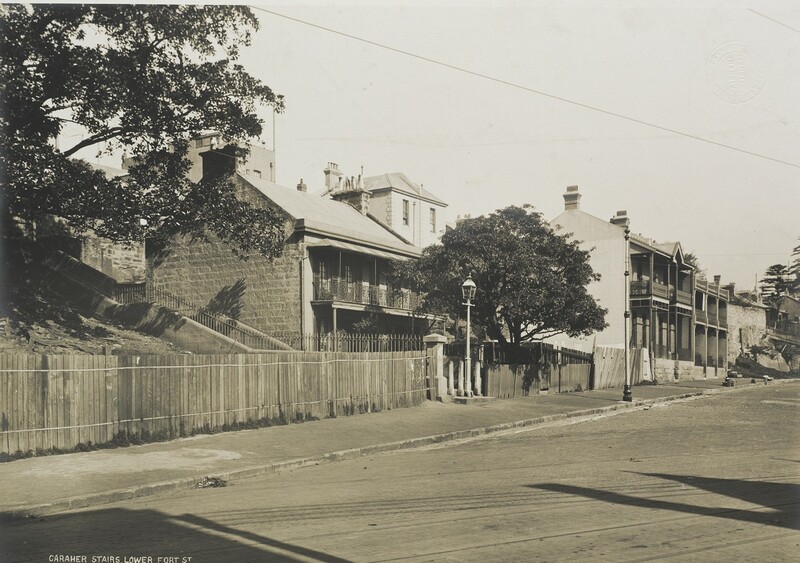 Hogan and Caraher bought a stone shop at 90 Darling Street, Balmain in 1852 but sold it two years later. From the 1840s, Owen Caraher operated a soap factory and had his own residence, Cardistown House, on a large portion of land along Gloucester Street partially backing onto Thomas Smidmore’s terraces. He rented his terrace houses in nearby Caraher’s Lane to fellow Irish immigrants. Neighbours complained of the stench from Caraher and Hogan’s boiling house but Alderman Caraher retained his manufactory until it was demolished in 1881. His son Michael joined him in the business and by 1877, he also had soap works at Parramatta Road, Camperdown. In 1841, Caraher was a signatory to a petition from the Total Abstinence Society. In November 1866 he was a member of the NSW Constitutional Association. He was also a Director of the Sydney Infirmary, the Randwick Asylum, and a Justice of the Peace. He was a councillor of the Australian Holy Catholic Guild. Owen Caraher was elected Alderman for Gipps Ward from 1 December 1859 to 30 November 1871. He was also an alderman on Camperdown Council 1868-69.